A two-day workshop will enable you to learn everything you want to know about the course – and the occupation. You can familiarise yourself with the College, meet the Administrators, and discover the relationship of the College to the accommodation, local shops, and car parking. The Principal will lift the course ‘off the page’ with detailed explanation that cannot be conveyed by the course book alone. You will hear the words and terms that we use spoken and be introduced to the underlying concepts that inform the way we do things. An introduction to the clinics, equipment and instruments that we use and how we work, means fewer surprises when you come to do your practical. The workshop will give you more confidence. 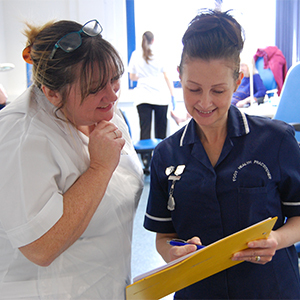 You will gain a greater understanding of the theory modules and feel more comfortable when you come to apply the theory in the clinical part of the course. You will meet fellow students just like yourself, and they just might be at the same stage as you are. Some use the workshop early in their course to learn where they are going whilst others use it later as an enjoyable revision opportunity. Either way it will have a positive effect upon your preparation to enter into practice. 10:00 am to 11:15 am – Anatomical relationships, surfaces, aspects and landmarks, skeleton, bones of the leg and foot, arches, movement, planes, pronation and supination. 11:30 am to 12:30 pm – Skin structure, reflex mechanisms, hyperkeratosis. 12:30 pm to 1:30 pm – Lunch. 1:30 pm to 2:45 pm – Nails, nail anatomy, nail plate function, range of onychodystrophies, specific nail conditions. 3:00 pm to 4:30 pm – Clinical introduction and patient set-up demonstrations. 10:00 am to 11:15 am – Homeostasis, circulation of the blood, lymphatic drainage, musculature, innervations. 11:30 am to 12:30 pm – Pathogens, cross-infection, hand-hygiene, instruments, sterilisation, resistance to disease. 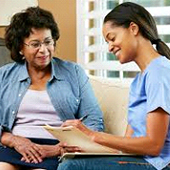 1:30 pm to 2:45 pm – On practice, records, history- taking referral. Diabetes and its implications, Pes planovalgus, Hallux abductovalgus. 3:00 pm to 4:30 pm – Assessment or examination – what to expect. Problem sorting session and conclusion. 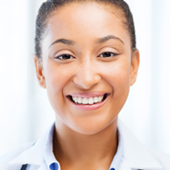 Private practitioners are absolutely necessary to the needs of their local communities, more so now than ever before. With long waiting lists and the low level of satisfaction expressed by many patients it is clear that local authority clinics and hospital-based departments can never meet the real needs of the population in the matter of foot health. Our services are necessary. They must be safely delivered with expertise and understanding. The independent assessment was conducted by the leading Certification Body, the British Assessment Bureau and demonstrates the College of Foot Health Practitioners commitment to customer service and quality in delivery. 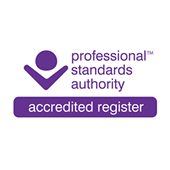 The Professional Standards Authority for Health and Social Care sets standards for organisations holding registers for health and social care occupations and accredits those registers that meet the standards. "Have truly enjoyed every part of this course. Could not recommend it enough! The senior personnel are a fountain of knowledge, so inspiring! all the staff go above and beyond – we learnt with the best! " "I will leave here feeling part of a family! At 45 it was worrying changing career but I honestly cannot wait. Every member of staff is a credit to the College." "I have had an amazing time the staff and tutors are lovely. My future looks and feels a lot brighter!" "This course has been superb, the quick feedback on the modules was useful. The tutors and office staff were approachable and kind." The College is in its 19th year of successfully training practitioners to support and serve the population of the UK. It is recognised that the need of the public in foot health provision cannot be adequately met by the NHS. In addition, we believe that the public should have a genuine choice of where and when they can obtain treatment and in the nature of the treatment they can access. Foot care is absolutely essential to the maintenance of good health, and is effective in averting serious illness requiring costly intervention. 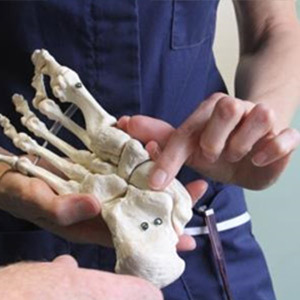 This College delivers a Level 4 Diploma in Foot Health Practice - the level and delivery of which is assured by NCFE. NCFE accreditation gives assurance that the content of a training course is of a high standard and meets the rigorous quality assurance of a national awarding organisation. The Authority oversees statutory bodies that regulate health and social care professionals in the UK, including the GMC, NMC and HCPC. This College is the first institution training in Foot Health Practice to offer a course that permits direct entry into an Authority Accredited Register.